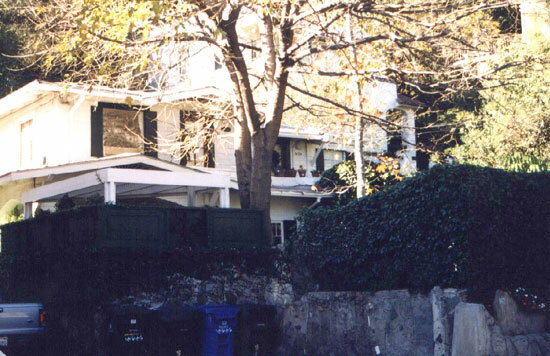 "Glen Holly" is a very short street in the Hollywood Hills where the Alphonse Mouzon / Tommy Bolin jam took place. Alphonse told me: "I remember playing there but I don't remember the house. A friend of Tommy's called Philip Polimini used to live there. There are some bootlegs called 'Mind Transplant Rehearsals'. This is nonsense because this session was several months earlier. It has nothing to do with 'Mind Transplant'. Tommy rang me up: 'Hi Phonzee'. He used to call me Phonzee. 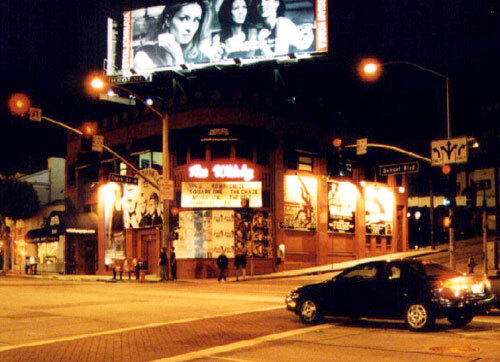 'What about jamming a bit down in Hollywood? Let's meet and play!' That's all. I had played with him before. Tommy played in a club in Boulder around 1973 and Larry (Coryell) and me sat in." 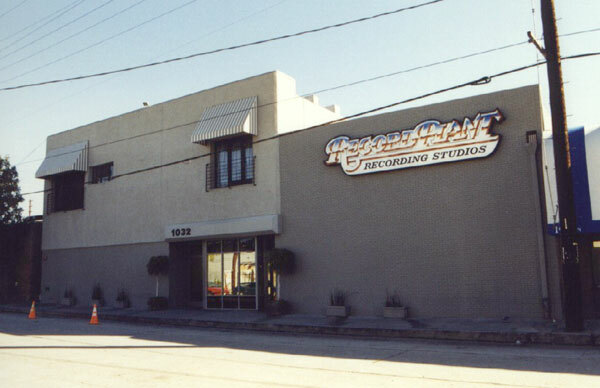 My attempt to photograph 1420 Beechwood Drive (where Deep Purple Mark 4 and Rainbow Mark 2's rehearsals took place) unfortunately didn't work out. Beachwood Drive is an extremely long road, but the most interesting section (for Purple Fans) is a private street controlled by guards. 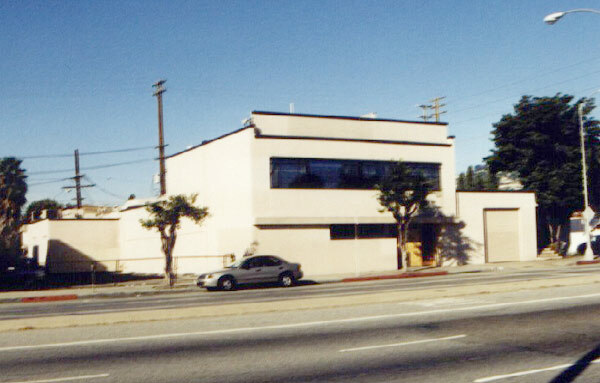 It is now the location of the "Sunset Gower Film Studios". 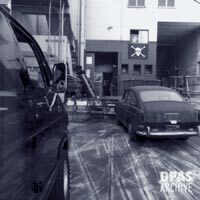 Only members of the crew are allowed to enter the studios. I also visited the location of the California Jam. The "Ontario Motor Speedway" was closed around 1980, and the area is now covered in huge hotels etc. Thanks to Bernt Küpper for both the photos and the narrative, also Tim Summers and Nigel Young for extra input. 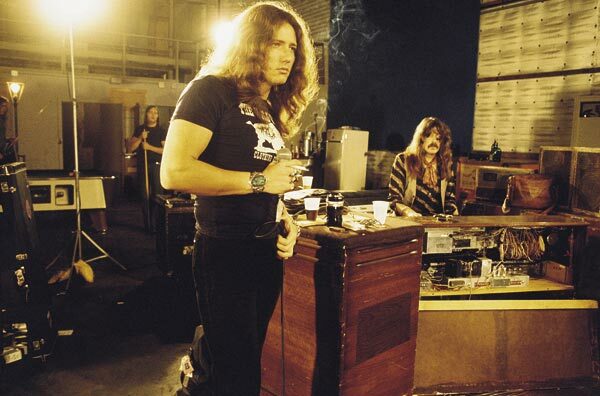 Amendment 30/09/06: Further to the mention of Beechwood Drive, where Deep Purple Mk 4 rehearsed in 1975, here is a contemporary photograph taken during the period the band were in residence. You can see the Pirate Sound Studio logo up on the wall. Also shown is a picture of the group inside at work, which appeared on the CD of the rehearsal tapes.